Our knowledge of Manx church music dates from the end of the 1700s when Wesley & Watts’ hymns and spiritual songs were translated into Manx. Sacred music follows the language shift from Manx to English in that many of the manuscripts have English texts but few Manx-composed hymns are in Gaelic. The main body of vernacular religious songs are carvals, songs associated with the nativity or the condition of the soul which have been composed for at least 400 years. Lengthy Manx texts were written and sung by soloists, often to existing tunes. Although carvals are often believed to be a Christmas tradition, only about ten per cent actually deal with the Nativity. Most re-tell Bible stories or warn of fire and brimstone. Some pre-date the Reformation and others, by eighteenth-century clergy, contain learned references. Later, carvals were the province of the semi-literate. The singing of carvals at Oie’ll Verrees (gatherings in the local church on the last night of Christmas) predominantly died out mid-nineteenth century, but many of the texts were preserved. Oie’ll Verrees still exist in name, but the repertoire performed has become much broader. The nineteenth century also offers a variety of church music sources, in particular from the West Gallery tradition, in which local bands would accompany hymns and sacred songs from the West gallery of the parish church. Often they performed ambitious and complex anthems using a variety of instruments including the serpent. Many parish churches were rebuilt after 1830 and organs gradually came into use and robed choirs were introduced. Methodists held on to the older style for much longer so the Isle of Man has large repertoire of this exciting music. Researchers have re-constructed anthems from part books in the archives of Manx National Heritage. 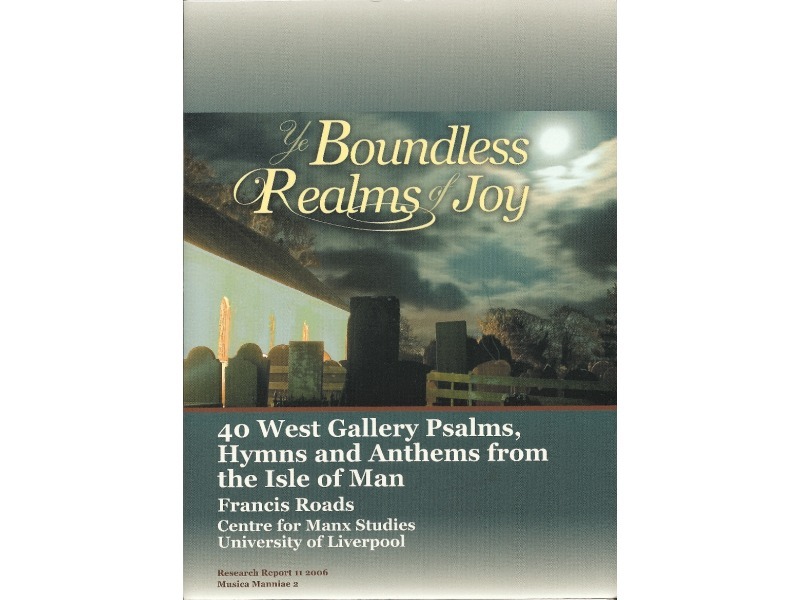 There are also a number of hymns specific to local churches by local composers, as well as many based on folk tunes. In 2006 three hundred were collected together and published as The Everlasting Hills by Fenella Bazin. They show a good understanding of melody and harmony and some, like ‘The Manx Fishermen's Evening Hymn’, achieved widespread popularity. Today, as in the past, music for worship has largely been led by individual choirmasters, organists and clergy. Choirs in parish churches, flourishing in the late 19th and early 20th centuries, performed standard repertoire, competing to attract summer visitors, to swell church congregations and coffers. Some churches still have regular choirs and non-affiliated groups also throw their weight into worship, particularly for special events. There is an active branch of the Organists’ Association on the Island. Hymn raising competitions are still held where each competitor sings a verse of a hymn, trying to match the original key of the Methodist Hymn Book. This competition dates from when congregations sang unaccompanied and the parish clerk had to 'raise' the hymn. Manx traditional tunes have often been used as a basis for hymn tunes, and in turn hymn tunes were sometimes transformed into jigs and reels. The rich variety, remarkable for such a small nation, mirrors the Island’s cultural diversity, reflecting traditional values and new ideas. The Culture Vannin website has pages on church organs linked with the Churches of Mann: Isle of Man Churches, Chapels and Keeills book and CD.